The European Campaign “Healthy Workplaces Manage Dangerous Substances” is a two-year campaign coordinated by the European Agency for Health and Safety at work in 2018-2019. For the fourth time in a row, BusinessEurope is committed to support the EU-OSHA Healthy Workplaces campaign and is an official campaign partner. The campaign was launched at a press conference in Brussels on 24 April 2018 by Commissioner Marianne Thyssen, the Bulgarian EU-Presidency and the Executive Director of the EU-OSHA Agency. Various events are scheduled during the campaign. The European Weeks for Safety and Health at Work will take place both in October 2018 and 2019. During the first quarter of 2019, the Healthy Workplaces Good Practice Exchange event will be organised and in November 2019, the campaign will be closed with the Healthy Workplaces Summit. 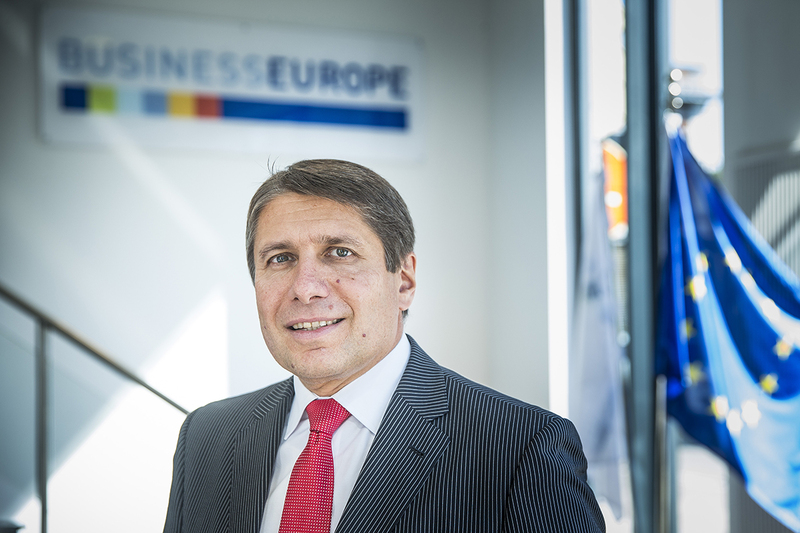 At BUSINESSEUROPE we are calling for simple, adaptable and effective tools to help companies take action. We highlight that companies are committed to fostering healthy workplaces that manage efficiently dangerous substances to protect workers. Why promote the management of dangerous substances? According to the European Survey on Working Conditions, the proportion of workers that report being exposed to chemicals for at least a quarter of their working time has not changed since 2000, remaining at around 17 %. There is a great deal of legislation on this issue as well as numerous guidance and support documents and tools. Nevertheless, awareness and knowledge are often insufficient, and easily applicable preventive measures could be taken in many more cases. Taking action to eliminate or reduce exposures to dangerous substances helps to protect workers from a range of accidents (such as fire, explosion and suffocation) and health problems (including skin diseases, allergies, respiratory illnesses, birth defects and cancers). Why this is important for employers and business? Employers are committed to protecting their employees’ safety and health in the workplace. Dangerous substances cause a substantial proportion of occupational diseases, which affect workers’ ability to work, and in some cases can be fatal. This, along with occupational accidents caused by dangerous substances, results in significant costs to businesses. Therefore, managing dangerous substances can also be business case, by lowering sick leave and absenteeism rates, ensuring continuity, maintaining healthy and productive workforce, and ultimately improving well-being at the workplace. How can it be promoted at the workplace? The EU-OSHA website features a range of tools and guides made both for employers and workers to make managing dangerous substances in the workplace as easy as possible. This dangerous substances e-tool helps you find and reduce the safety and health hazards associated with dangerous substances and chemicals products in workplaces within your company. In complement to this e-tool, you can check the ‘practical tools and guidances' section of the EU-OSHA campaign website if you want some concrete examples of tools currently being used by different actors such as employers, HR managers and trade unions. Finally, this PowerPoint presentation has been developed especially for this campaign and can help you raise awareness of the importance of managing dangerous substances within your company and present the main issues in a clear and understandable way. The EU-OSHA website presents 18 case studies, drafted by enterprises themselves, public institutions and authorities, industrial associations and trade unions, illustrating the practical application of prevention measures at workplace level. Since May 2016, BusinessEurope is an active support of the Roadmap on carcinogens, which is voluntary action scheme aiming to raise awareness about the risks arising from exposure to carcinogens in the workplace and exchange good practices.